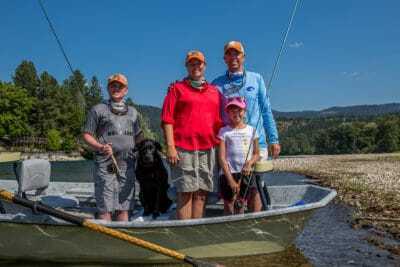 Tony Reinhardt is the owner of Montana Trout Outfitters and has been guiding anglers on the waters of western Montana since 1998. Born and raised in the Midwest, a summer in Alaska with his grandfather changed Tony’s path in life. “I knew I had to move out West somewhere, and once I arrived in Missoula I knew I was home for good. 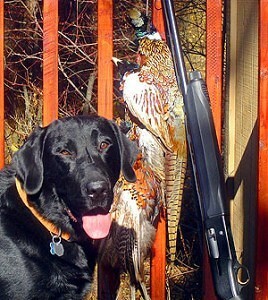 Along with his awesome wife, Brandy, they have two children, Thomas and Kaitlyn in addition to their black lab, Ruby. 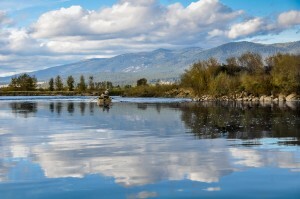 We enjoy everything about Montana and we want to show you what makes this place so special. 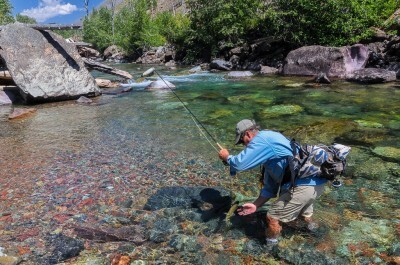 I was back out with Jim and Stan and we set off for some dry fly fishing on the upper Bitterroot. We launched all by ourselves with single dry flies and raised a few fish early on. There was decent action for the early morning, but things got interesting when we pulled into a great run to spend some time. I rigged up a rod with double dries and the next hour or so was simply perfect. The guys took turns with the rod and we were never more than a few minutes without a fish on. 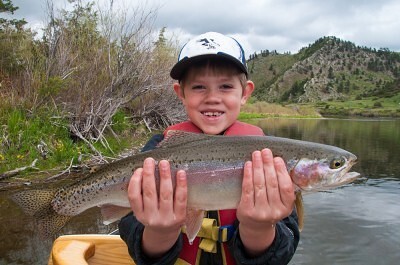 They were all nice cutthroat and cuttbows including a 19″ fish by Stan and a 19.5″ cuttbow that Jim landed. We must have landed at least 15 in that one run before it was finally time to move on. 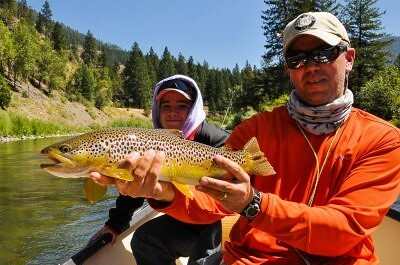 After an early lunch we got ready for the golden stone hatch and the guys were not disappointed. 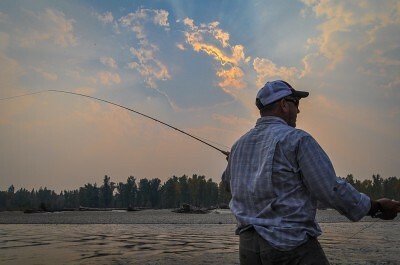 It was steady action the rest of the way with lots of fish coming to the single dry. 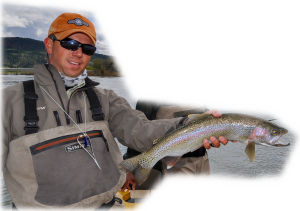 In the afternoon there were a bunch of smaller fish on the hunt from 10-13″, but we also landed more than our share of nice trout in the 14-17″ range. It was a great way to end the trip with a couple of the nicest guys I know. They’re already making their reservations for next year so I look forward to seeing them then.